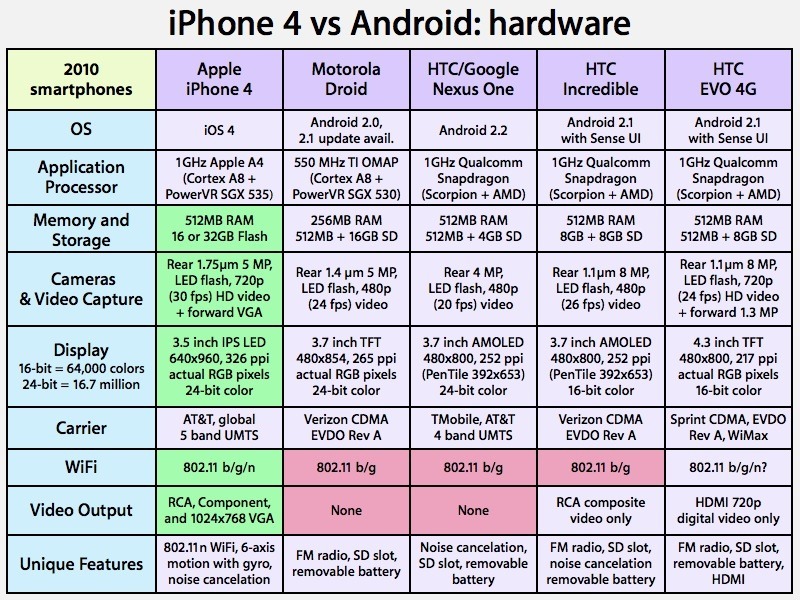 Oh Goody, Another iPhone vs. Android Feature List | The Small Wave. This entry was posted in General and tagged Android, Apple, Droid, EVO, Google, HTC, iOS, iPhone 4, nexus one by Tom Reestman. Bookmark the permalink.